This is the KC-135's "STRATOTANKER" patch left over from the old days of Strategic Command. It says "Snuggle Up, It's Feeding Time". True statement. This is the KC-135's "MiG Bait" patch denoting that they are truly defenseless if an enemy fighter came after them. True statement. The 6th Air Refueling Squadron (6 ARS) is part of the 60th Air Mobility Wing at Travis Air Force Base, California. It operates the McDonnell Douglas KC-10 Extender aircraft conducting air refueling missions. 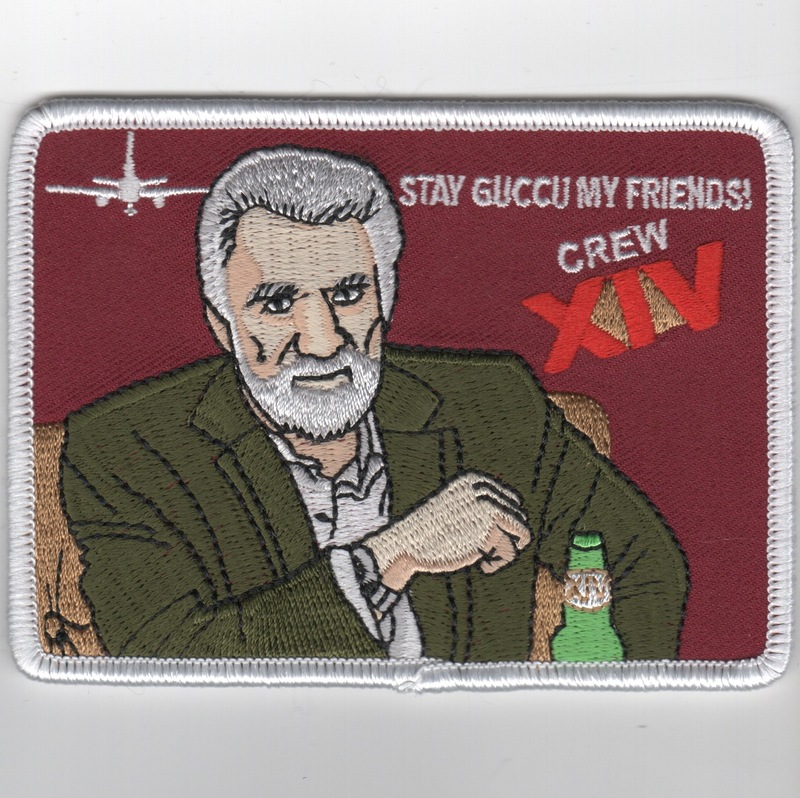 This is their crew patch for CREW 14. This patch does not come with velcro attached. The 18th Air Refueling Squadron (18 ARS) is a United States Air Force Reserve squadron, assigned to the 931st Operations Group, stationed at McConnell Air Force Base, Kansas flying the KC-135. This is the blue version of their squadron patch and does not come with velcro attached. 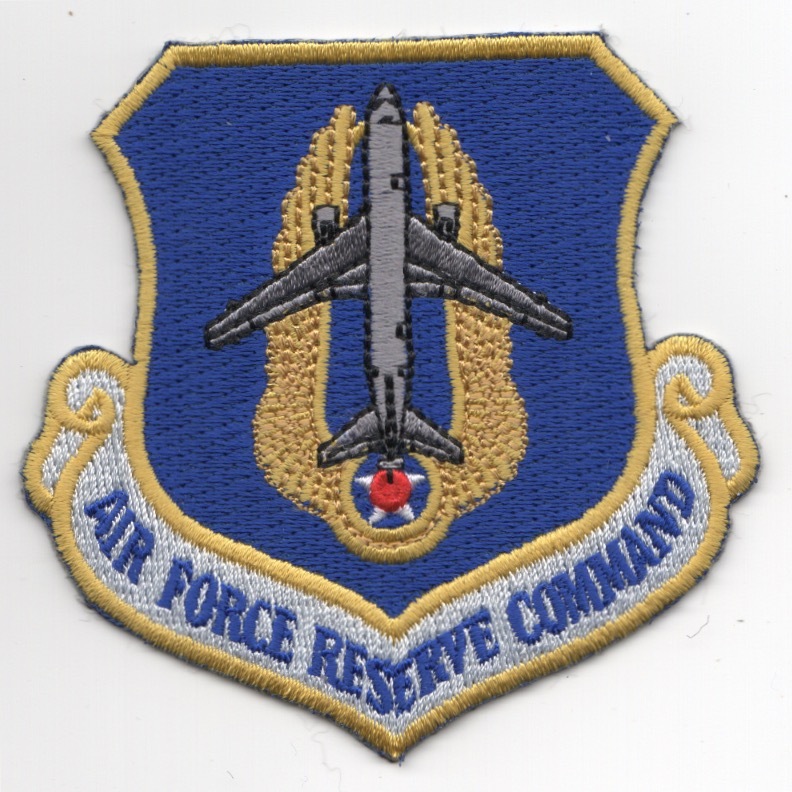 The 18th Air Refueling Squadron (18 ARS) is a United States Air Force Reserve squadron, assigned to the 931st Operations Group, stationed at McConnell Air Force Base, Kansas flying the KC-135. 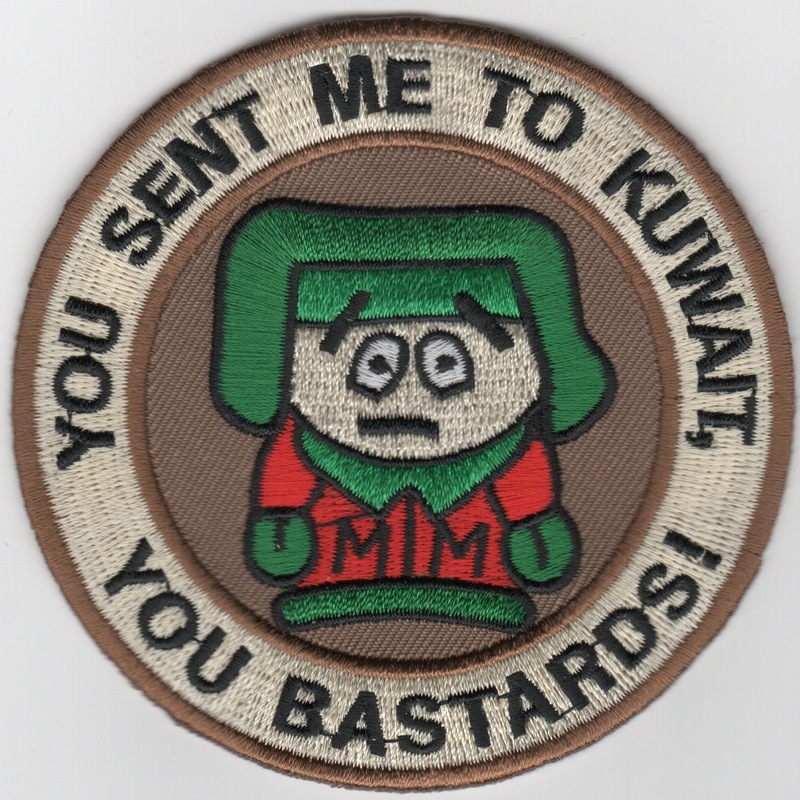 This is the desert version of their squadron patch and does not come with velcro attached. 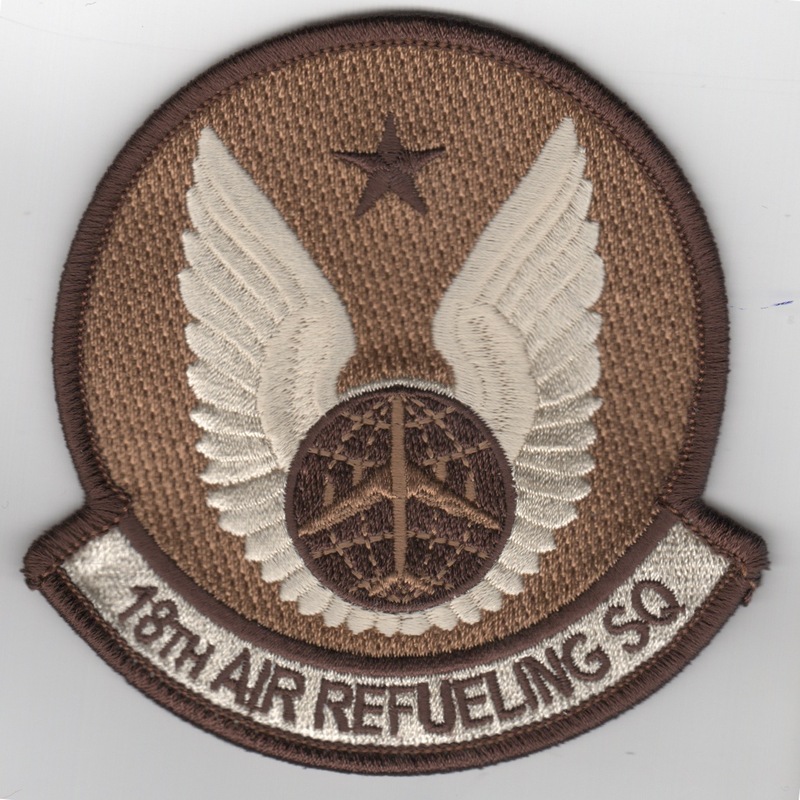 The 18th Air Refueling Squadron (18 ARS) is a United States Air Force Reserve squadron, assigned to the 931st Operations Group, stationed at McConnell Air Force Base, Kansas flying the KC-135. This is the new OCP version of their squadron patch and does not come with velcro attached. The 18th Air Refueling Squadron (18 ARS) is a United States Air Force Reserve squadron, assigned to the 931st Operations Group, stationed at McConnell Air Force Base, Kansas flying the KC-46. This is the new OCP version of their KC-46 Planform patch and does not come with velcro attached. The 18th Air Refueling Squadron (18 ARS) is a United States Air Force Reserve squadron, assigned to the 931st Operations Group, stationed at McConnell Air Force Base, Kansas flying the new KC-46. 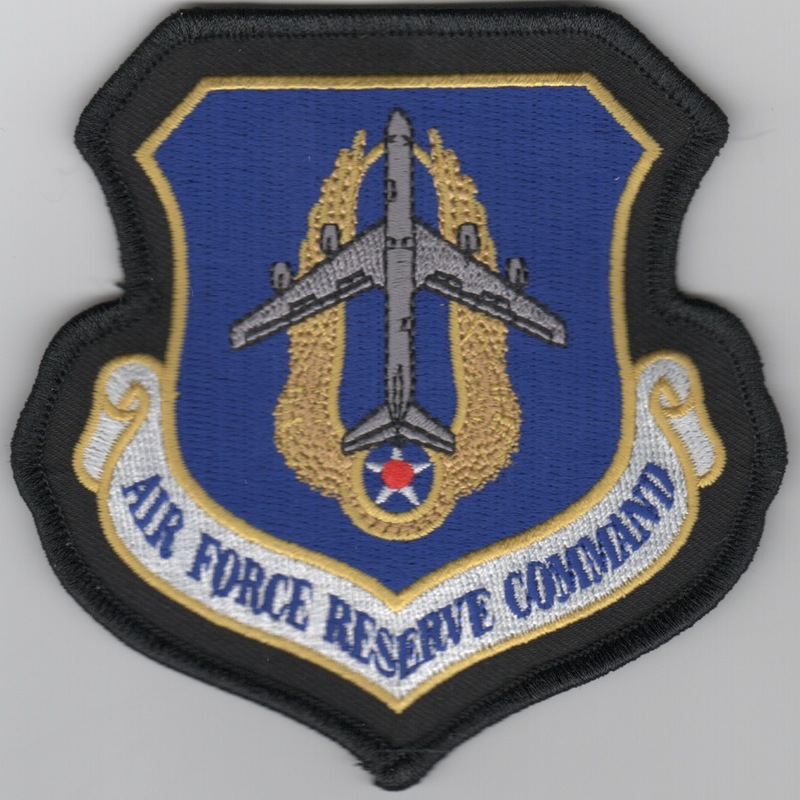 This is the new KC-46 AFRC version of their "command" patch and does not come with velcro attached. 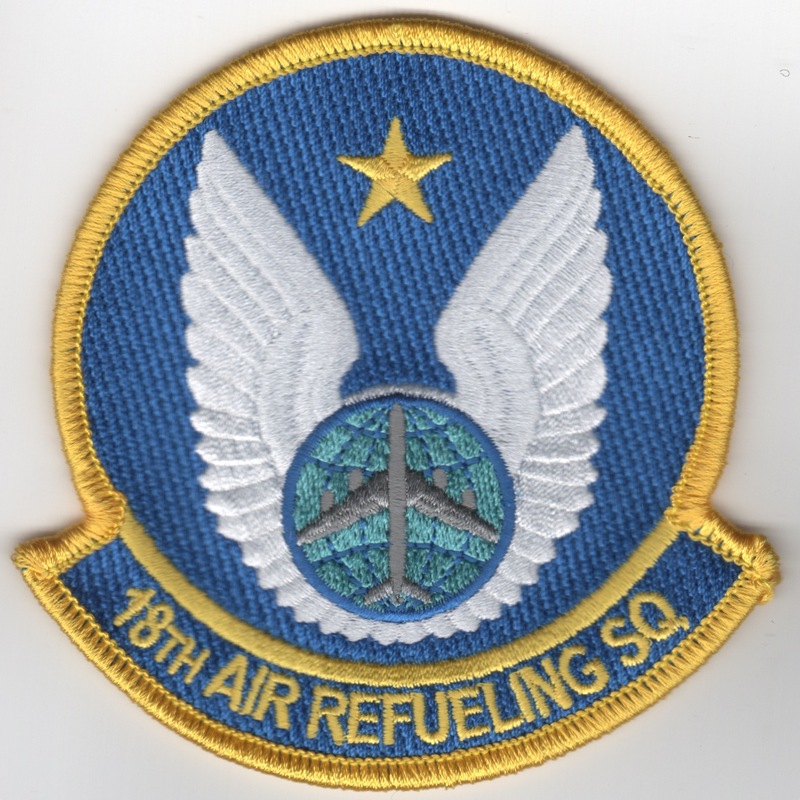 The 18th Air Refueling Squadron (18 ARS) is a United States Air Force Reserve squadron, assigned to the 931st Operations Group, stationed at McConnell Air Force Base, Kansas flying the KC-135. This is the (feaux) Leather- bordered version of their "command" patch and does not come with velcro attached. The 18th Air Refueling Squadron (18 ARS) is a United States Air Force Reserve squadron, assigned to the 931st Operations Group, stationed at McConnell Air Force Base, Kansas flying the KC-46. This is their "PLAINS KEEPER" patch and does not come with velcro attached. 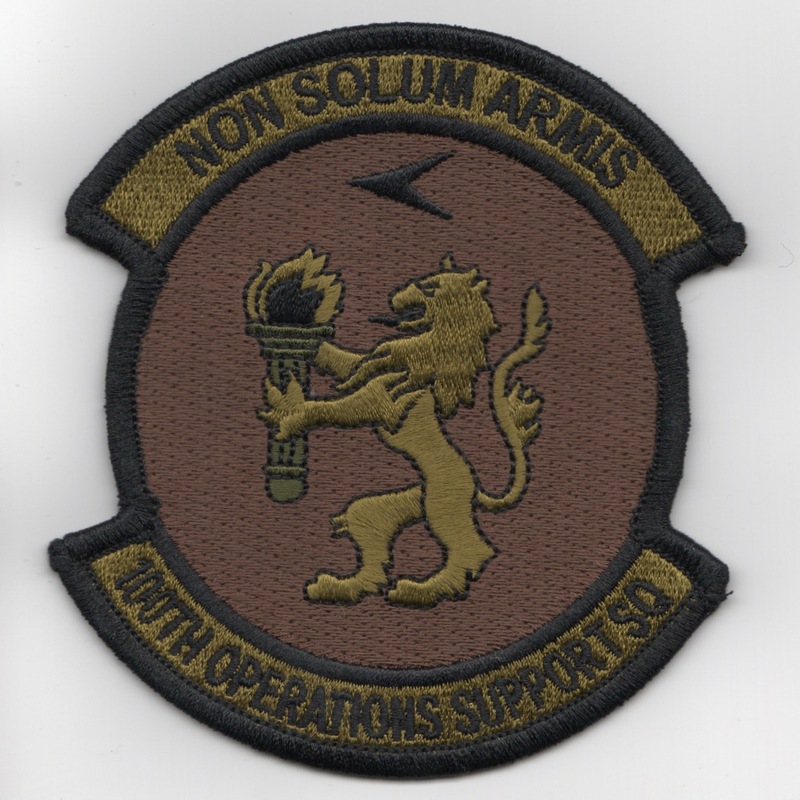 This is the small version of the squadron patch for the 22nd Air Refueling guys. This is the desert version of the squadron patch with the "WHITE" stars (7 on each side) for the 77th Air Refueling guys. They are an Air Force Reserve squadron based at Seymour Johnson AFB in North Carolina. Their slogan is the "Totin' Tigers". This patch does not have velcro attached. This is the desert version of the squadron patch with the "DESERT" stars (7 on each side) for the 77th Air Refueling guys. They are an Air Force Reserve squadron based at Seymour Johnson AFB in North Carolina. Their slogan is the "Totin' Tigers". This patch does not have velcro attached. This is the color version of the squadron patch for the 91st Air Refueling guys. Established and organized as the 92nd Bombardment Wing, (Very Heavy) at Spokane Army Air Field on November 17,1947, the facility was renamed Spokane Air Force and the following year, it was renamed Fairchild AFB.� In 1947, Fairchild was transferred to the Strategic Air Command and assigned to the 15th Air Force.�� The 92nd was a double wing, as it had two groups: the 92nd and the 98th.� Both flew the B-29 Superfortress, the most advanced bomber of their day.� On July 12, 1948, the 92nd was redesignated a (Medium) bomb wing because SAC was bringing the enormous new B-36 into it's inventory, which caused a reclassification of aircraft size. 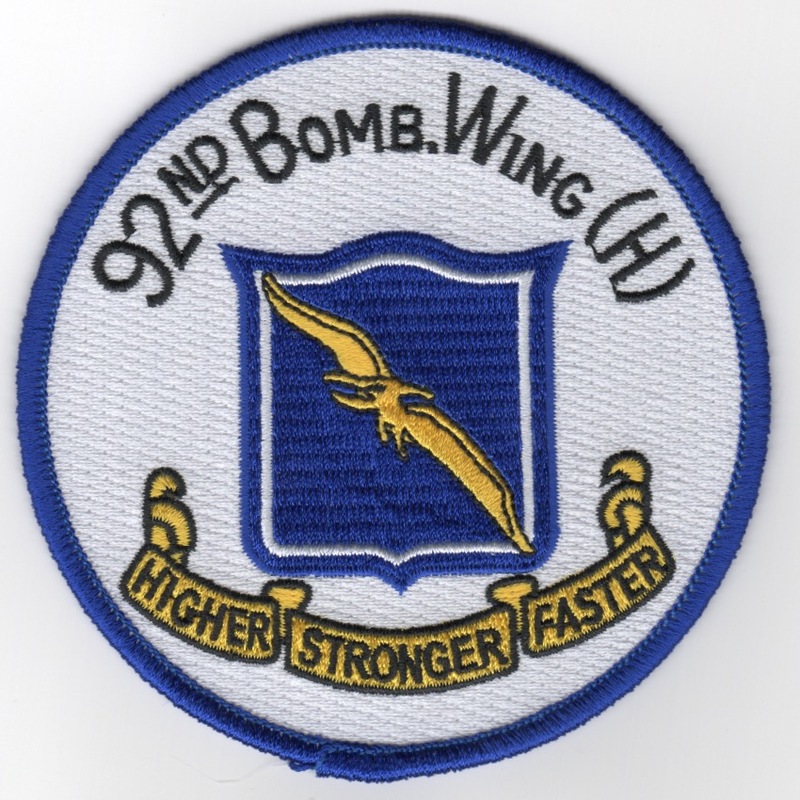 This is a reproduction of their "historic" Bomb Wing patch. They now fly the KC-135 as part of the 92 Air Refueling Wing. This patch does not come with velcro attached. This is the color version of the squadron patch for the 92nd Air Refueling guys. Their slogan is "Dantibus Damus". This is the color version of the squadron patch for the 97th Air Refueling guys that is worn by the Instructors in the squadron. 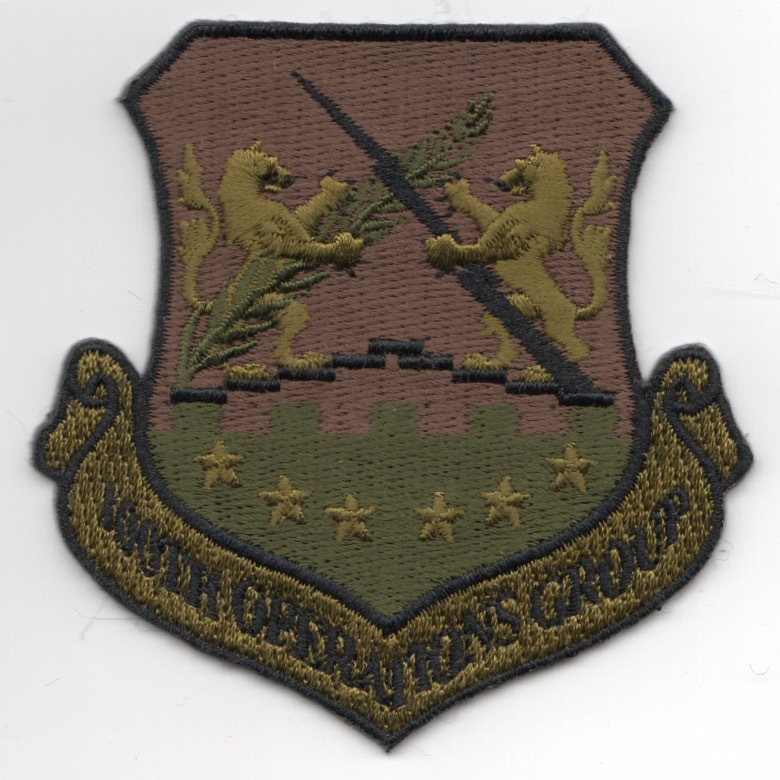 This is the OCP version of the 100th Operations Group Crest patch and does not have velcro attached. 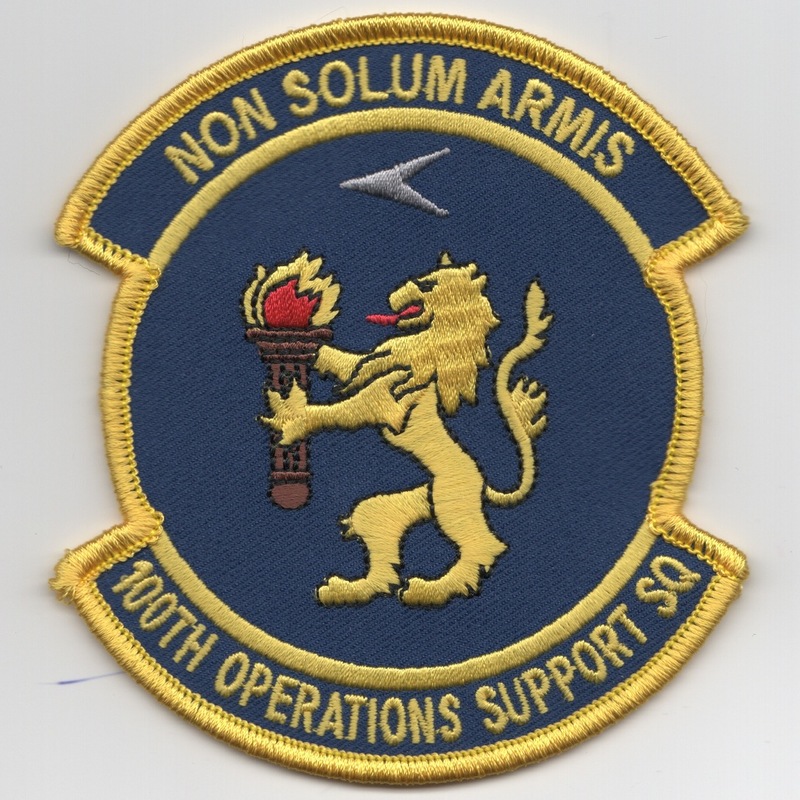 This is the color version of the squadron patch for the 100 Operations Support Squadron (OSS) that are part of the 100 Air Refueling Wing (ARW) flying out of RAF Mildenhall. They are assigned to the Third Air Force, USAFE - Air Forces Africa, supporting operations in that theater. This patch does not come with velcro attached. 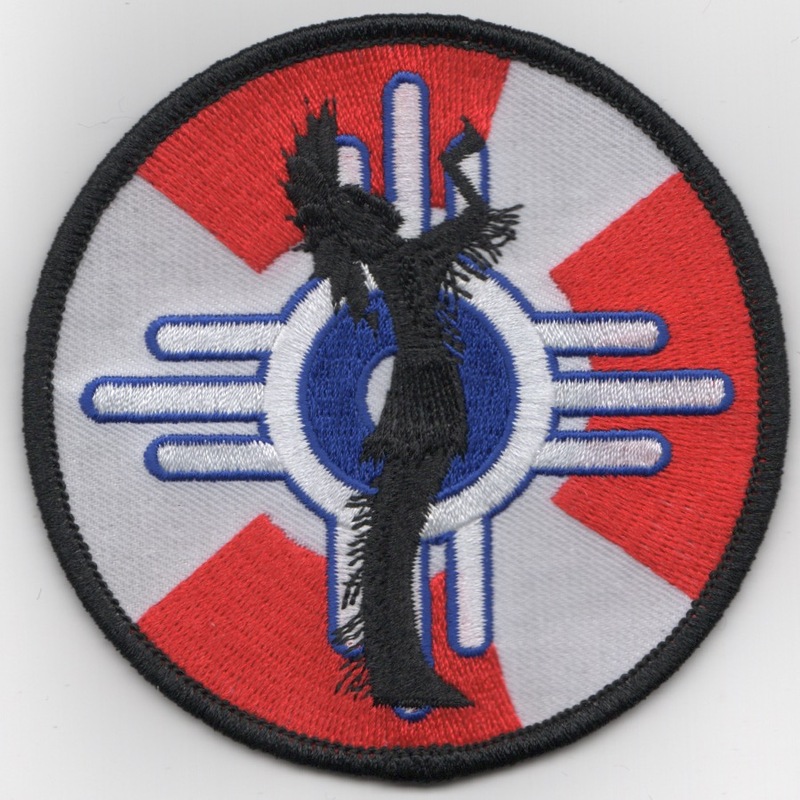 This is the desert version of the squadron patch for the 100 Operations Support Squadron (OSS) that are part of the 100 Air Refueling Wing (ARW) flying out of RAF Mildenhall. They are assigned to the Third Air Force, USAFE - Air Forces Africa, supporting operations in that theater. This patch does not come with velcro attached. 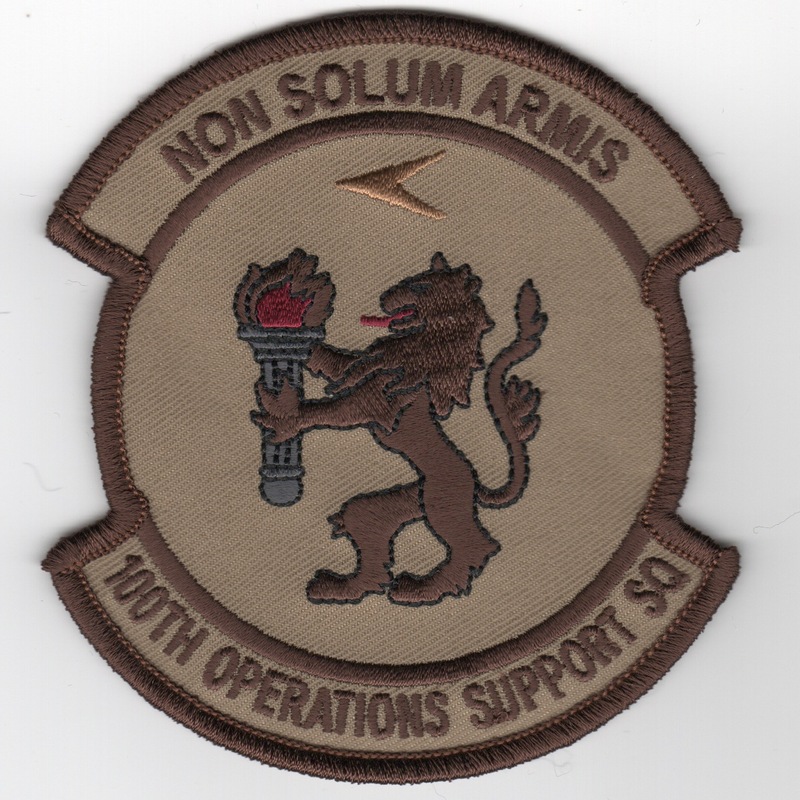 This is the OCP version of the squadron patch for the 100 Operations Support Squadron (OSS) that are part of the 100 Air Refueling Wing (ARW) flying out of RAF Mildenhall. They are assigned to the Third Air Force, USAFE - Air Forces Africa, supporting operations in that theater. This patch does not come with velcro attached. This is the desert version of the 105th Air Refueling Squadron patch for the Old Hickory Squadron based out of Nashville, TN. Just in from one of their Majors, "We actually fly C-130H2 aircraft, non-refuelable inflight, nor can we give fuel inflight. 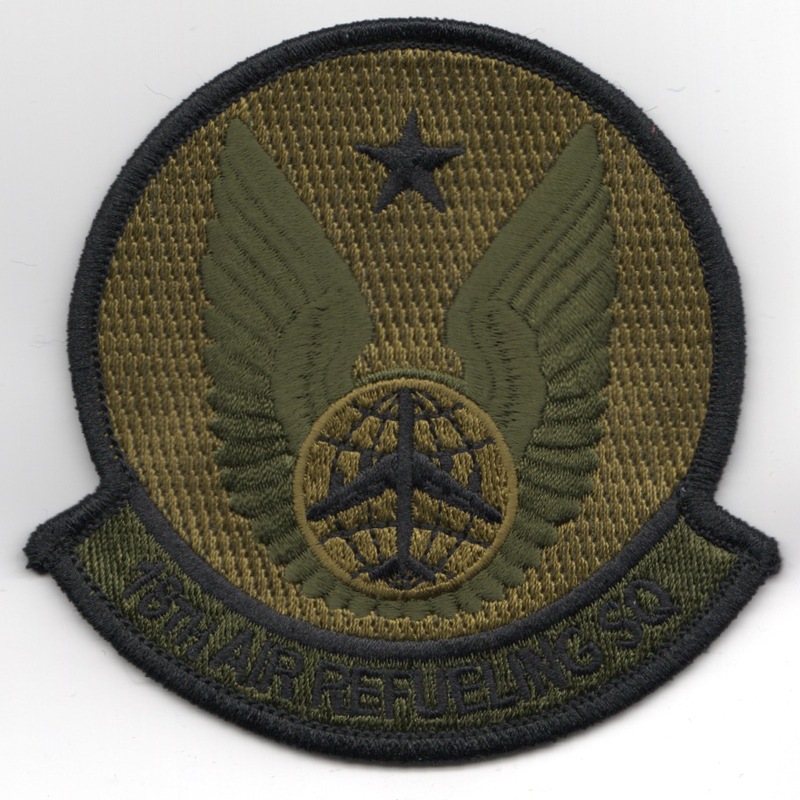 This is the "Rebel Refuelers" patch for the 106th Air Refueling Squadron that flies the KC-135 out of Birmingham, AL. 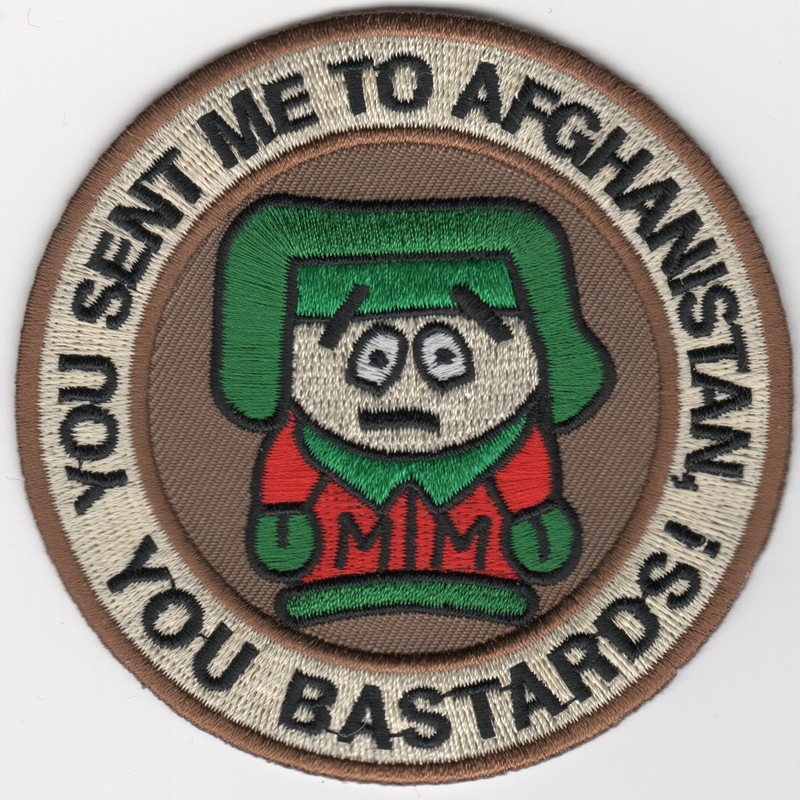 This is #1 of 6 "Tanker Clown" patches created for these squadrons. 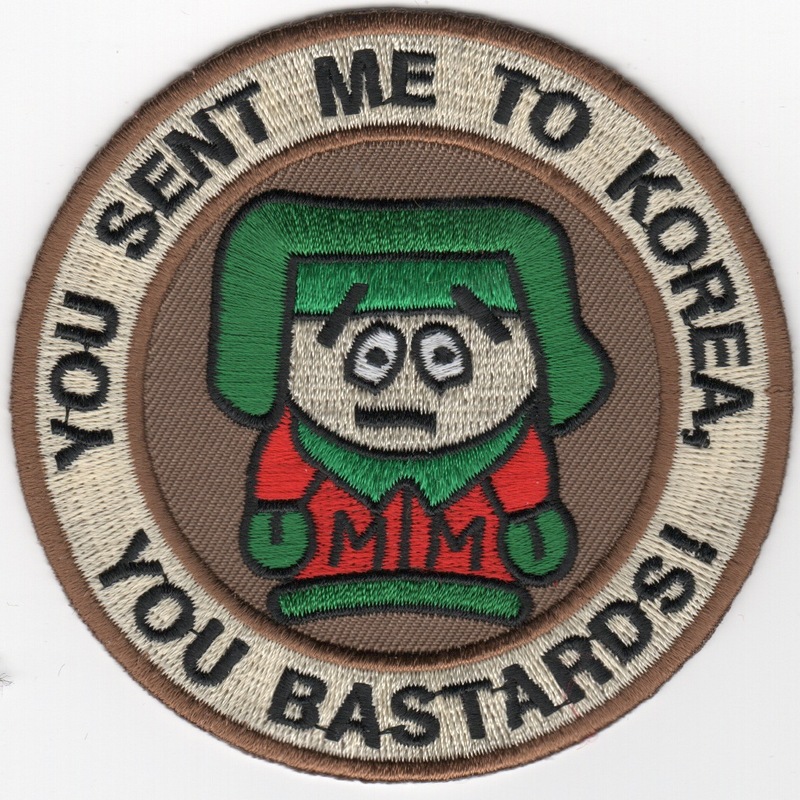 This one is in green and shows "Krusty, the Clown" on the front and denotes their squadron designation and mission at the top and bottom respectively. 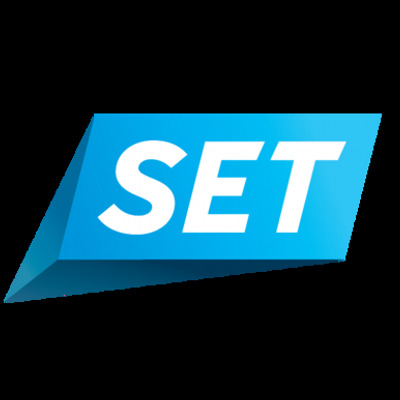 Get the entire set for $36. 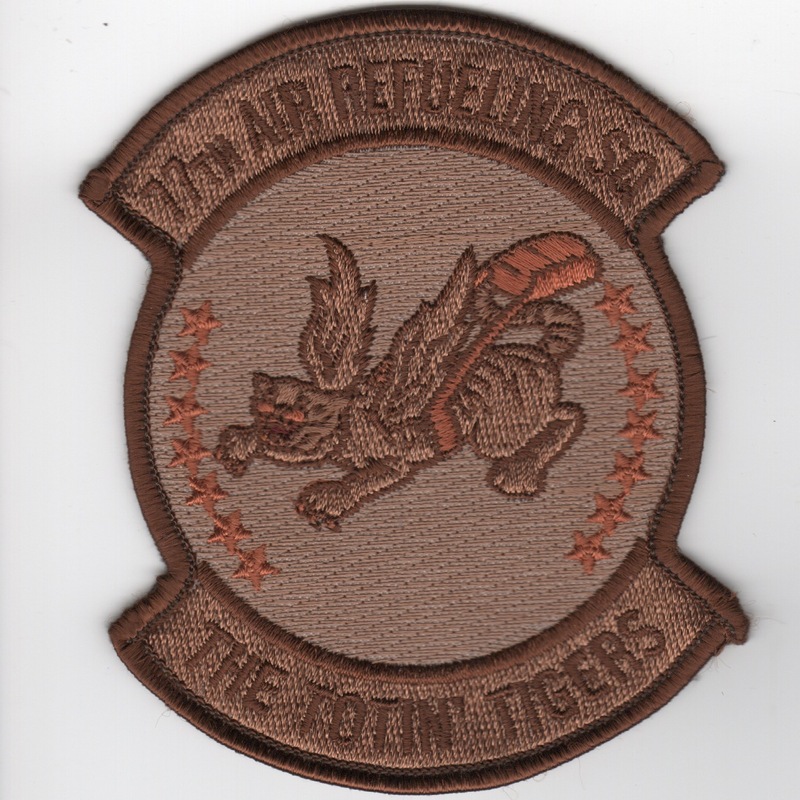 This is the color version of the "Boom Operator" patch for the 127th Air Refueling Wing, a unit of the Michigan Air National Guard, assigned to the 127th Wing, Selfridge Air National Guard Base, Michigan. 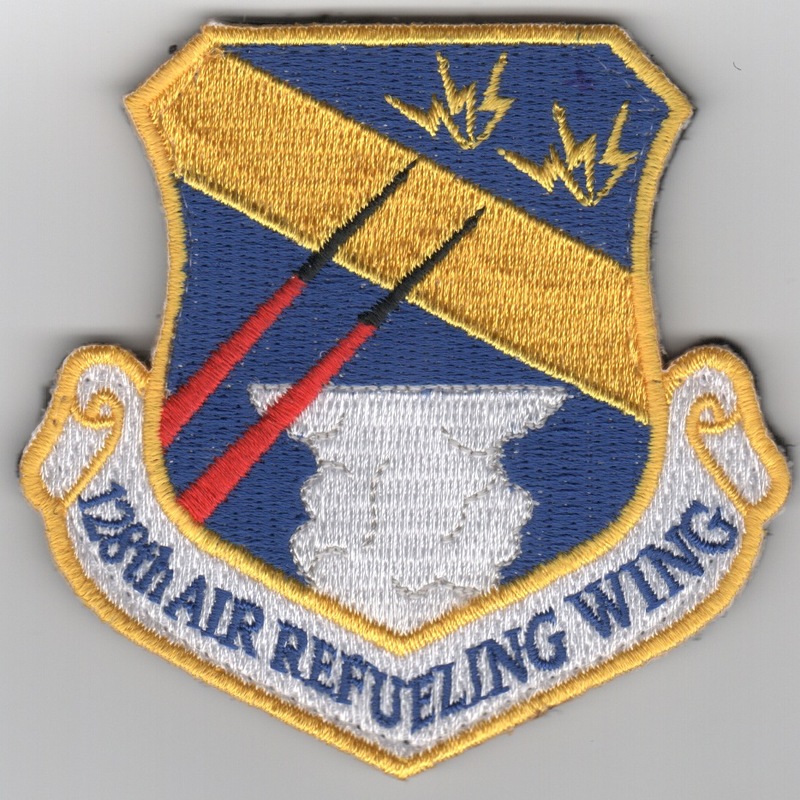 This is the crest patch for the 128th Air Refueling Wing, the Wisconsin Air National Guard. This is the desert version of the "Boom Operator" crest patch for the 128th Air Refueling Wing, the Wisconsin Air National Guard. 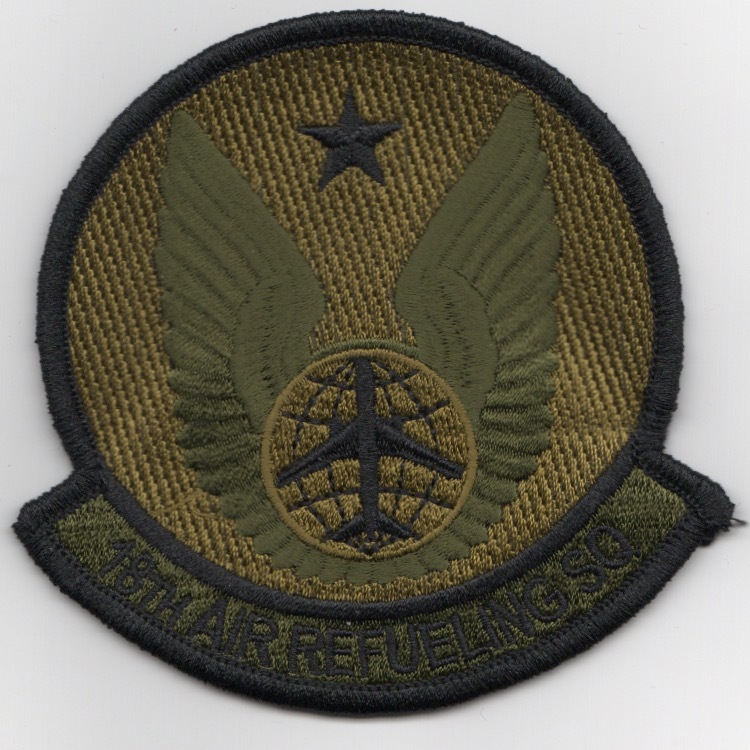 Homepage | Order Air Refueling Patches!